Photo for representation only. — iStock. 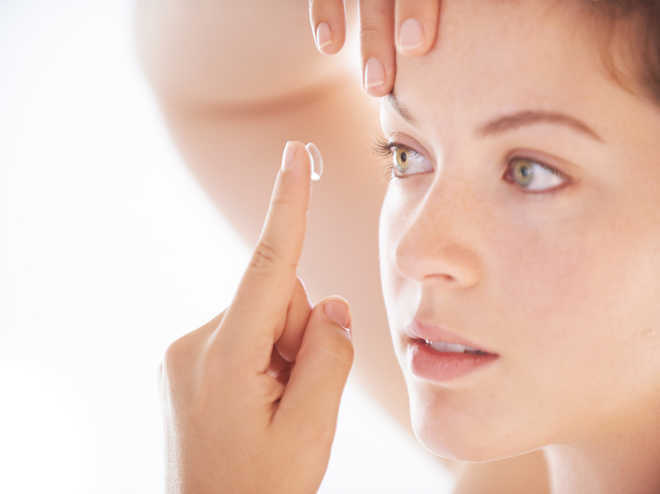 Australian scientists are developing a therapeutic contact lens that acts as a bandage for eye surface injuries, and could fast track the healing of previously difficult to treat corneal wounds. The 'bandage' consists of cells with special wound-healing properties, said researchers from the Queensland University of Technology (QUT) in Australia. "These cells, known as limbal mesenchymal stromal cells (L-MSC), would be isolated from donor eye tissue and subsequently attached to the inner surface of a special type of contact lens known as a scleral lens," said Professor Damien Harkin from QUT, who is based at the Queensland Eye Institute. "The donor cells are readily accessible from tissue that is usually discarded after routine corneal transplants," Harkin said. "Based upon preliminary data we believe that the donor cells release a range of wound-healing factors that encourage repair of the eye's surface," he said. Harkin said the lenses could be available within hours of patients presenting to an eye clinic with either recently acquired or chronic damage to their eye's surface. "Our therapy could provide welcome relief for patients suffering from chronic conditions such as corneal ulcers and persistent surface defects that have not responded to conventional therapies," he said. "The new treatment could also become useful as a part of the first-line therapy in the management of acute eye injuries experienced in the work place or at home arising from exposure to caustic chemicals, scalding liquids or excessive heat," Harkin said. Harkin said the current treatment typically involved using bandages prepared from amniotic membrane donated from human placentas. "Amniotic membrane (AM) provides a limited supply of growth factors and components with anti-inflammatory and wound-healing properties," he said.